Diana and Sue Windsor in the museum. 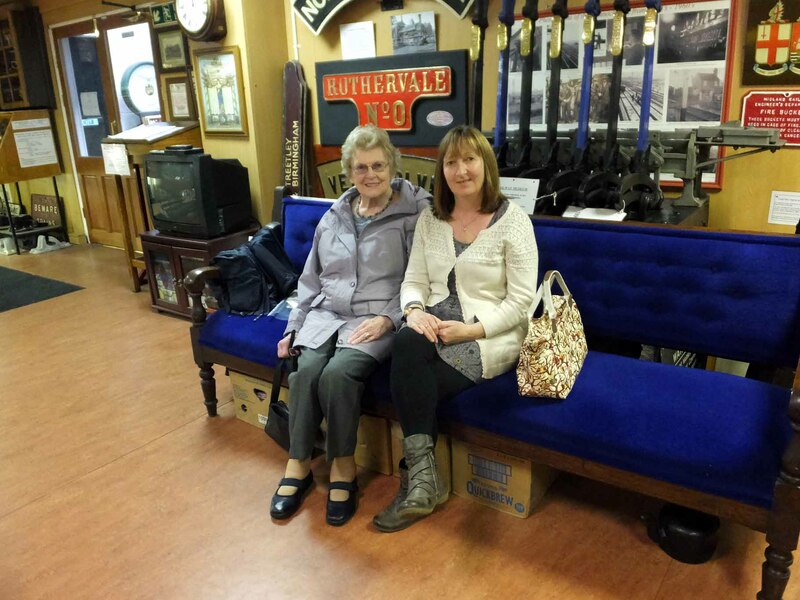 The museum had a visit from Diana and Sue Windor on May 19th. They used to live locally and Diana’s father was a loco driver at the Coppice Colliery, Heath Hayes, (Fair Lady) and the Conduit Colliery at Norton Canes.. Diana, Sue’s mum, celebrated her 90th birthday on May 18th. Her father, Albert Edward Rose, was born in 1902. The ladies gave us a selection of photographs, the first of which are shown here. We also have other items, including newspaper cuttings, which will be shown over the next few days. Albert Rose, back right. Kitson No.2 lined? Albert at home in the back yard of no.39 Chapel Street, Brownhills West. This entry was posted in News and tagged Albert Edward Rose, Bert Rose, Chasewater Railway Museum, Conduit Colliery, Coppice Colliery, Heath Hayes, Kitson No.2, Mining Heritage, Norton Canes. Bookmark the permalink.